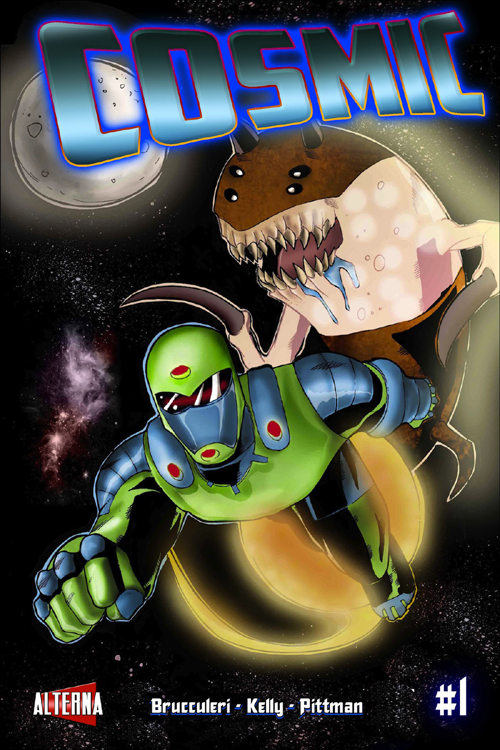 A new upcoming release from Alterna Comics, “Cosmic” is a series from writer Sal Brucculeri, artist Chandra Kelly and colorist Victoria Pittman. This series will debut on Alterna Comics’ digital line in January 2014, but it needs your help! 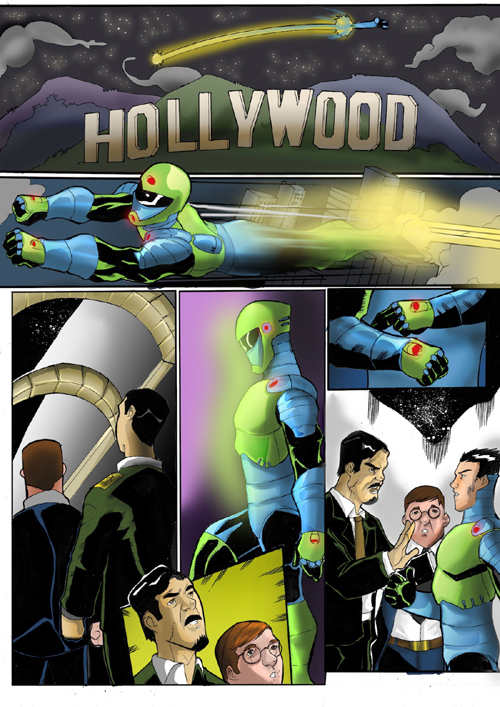 Using Indiegogo to fund future issues of this title, Brucculeri and crew are hoping to bring this sci-fi adventure to you along with some great ‘perks’ for supporting. Either way, this looks to be a series you won’t want to miss. As this will be coming to you from Alterna Comics – a publisher of many amazing works, as well as the New York Times Best-Selling graphic novel “FUBAR: Empire of the Rising Dead” – I can assure you this will be a high quality book from some creative and fresh minds. With the first story arc concerning a battle with “Captain Priam” and his “baby snatchers”, I’ll be doing all I can to help get this wonderful series out there. I hope you will, too. Please enjoy the following sample pages, and info below to help this comic get to the eyes and hands of fans everywhere. 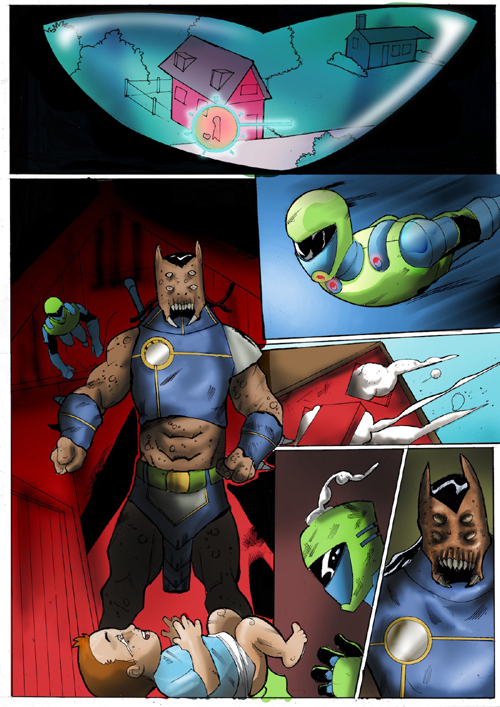 For more updates on the COSMIC series, please visit: igg.me/at/cosmiccomic to pledge and salbrucculeri.tumlr.com for updates! This entry was posted in Alterna, Alterna Comics, Chandra Kelly, Comic Book, Comic Book Reviews, cory thrall, Cosmic, Indiegogo, Sal Brucculeri, Victoria Pittman and tagged alterna, Alterna Comics, Chandra Kelly, comic book reviews, cory thrall, cosmic, indiegogo, Sal Brucculeri, Victoria Pittman. Bookmark the permalink.